Carriage Rides and a Gypsy Wagon! I was without high speed internet on my last farm so have had to wait to post this. Much has transpired since leaving Sicily May 2nd. I am now in Tuscany, at my third farm on mainland Italy. The first was with Enrico and his wonderful draft horses in Maremma Natural Park, helping with carriage rides and tourists, planting the veggie garden, feeding the variety of critters he keeps and then onto Rome to meet a potential future travel partner, to see the Sistine Chapel and Vatican, and to stay in a medieval village called Artena. 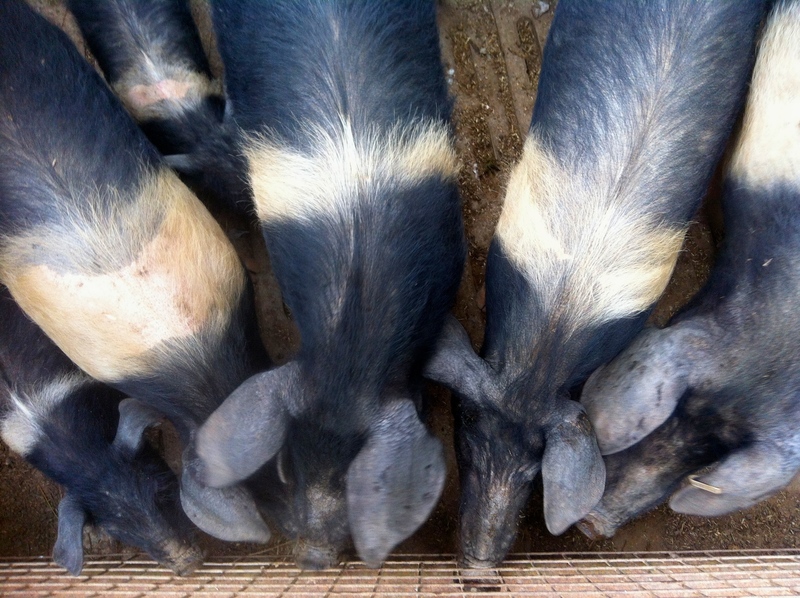 New post coming soon with details on Artena and my next two farm experiences. 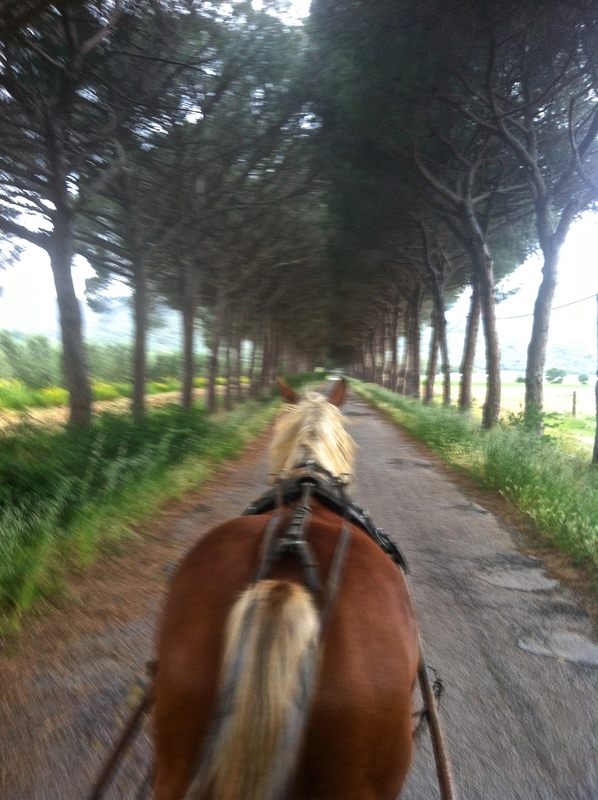 On May 2nd I left Sicily, sadly, but with anticipation, and headed to my next farm exchange in Tuscany…with horses, once again. This time a small fattoria (farm) owned by Enrico Cheli who owns 11 horses, most of them drafts. I had flown into Rome, then a 2 hr train north to Grosseto near the coast, where I found Enrico standing on the platform looking for me. A tall, lanky man of 50, ruggedly handsome, dressed in a vest and nice dress shirt with heavy cotton pants. He owns a horse drawn carriage tour business and this was his work attire, I learned later. 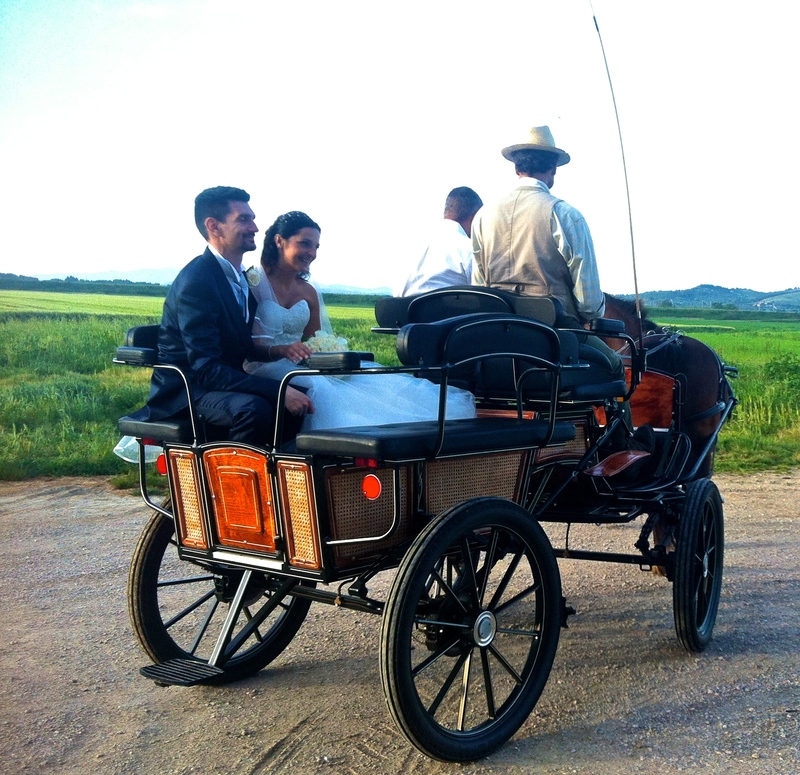 We said our hellos, the Italian two cheek kiss and headed out in his Subaru to his friend’s farm where he was hired to drive a small wedding carriage, delivering the bride and groom to the reception, by way of a sunlit field of wheat. Again…I felt like I was in a dream. 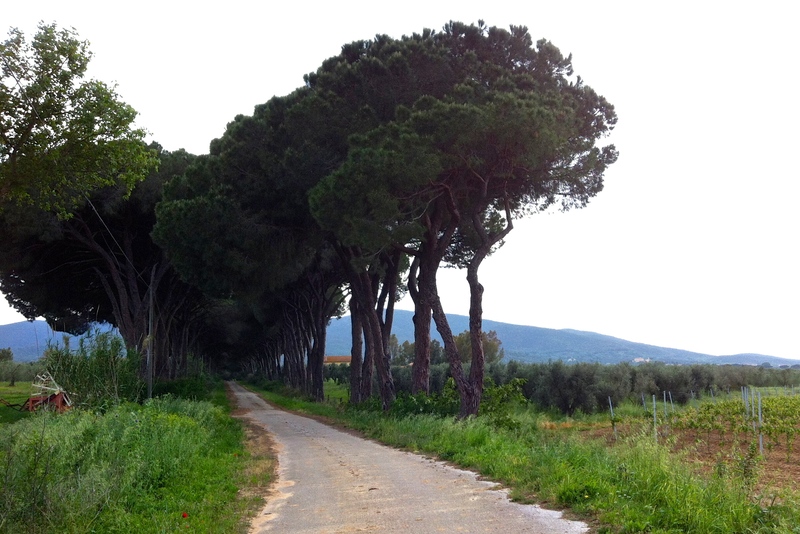 Later we arrived at his farm, passing under many beautiful pine tree tunnels arching over the road. His place is about a 2.5 acre patch of farmland surrounded by rolling hills. 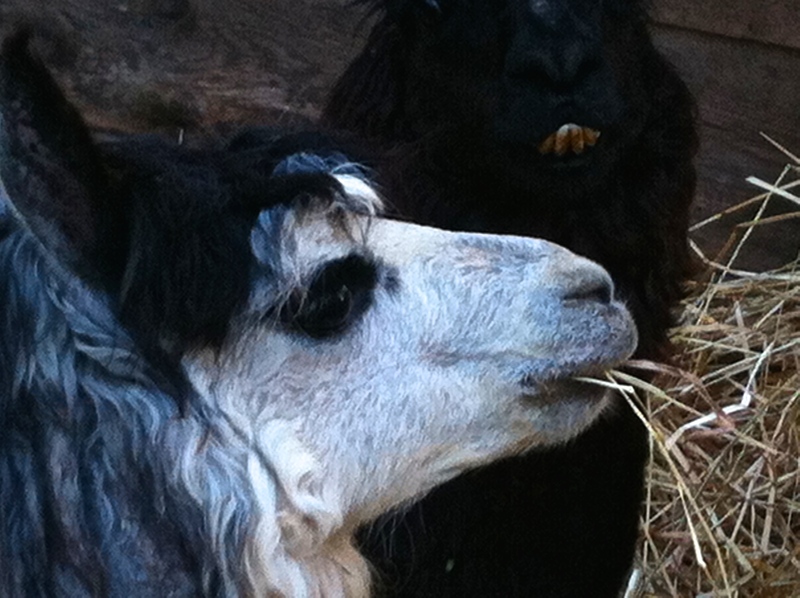 Besides the horses, he has 6 alpaca, pigs, rabbits, chickens and two gorgeous Maremma Sheep dogs. Willy and Toby. White and long haired. Happy characters. 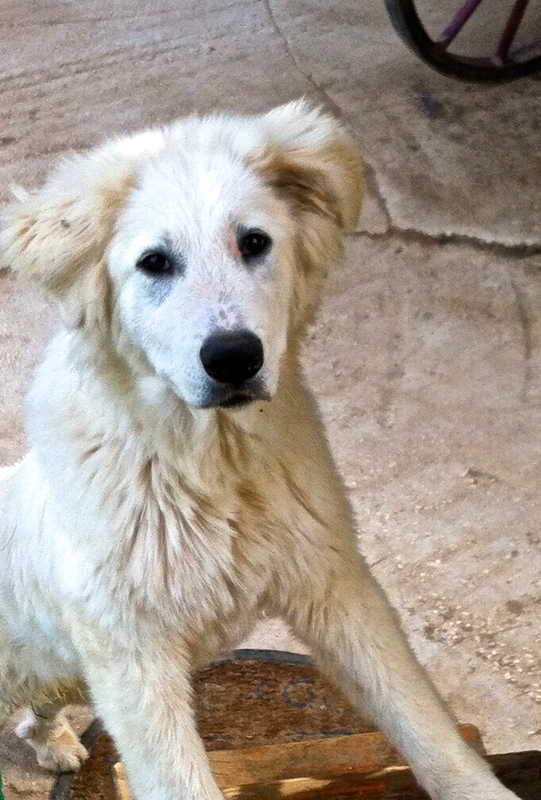 Willy (“Willy Wonka”) the Maremma Sheep Dog puppy. Enrico is a gentleman. Opening doors for me, carrying my heavy bag, etc. 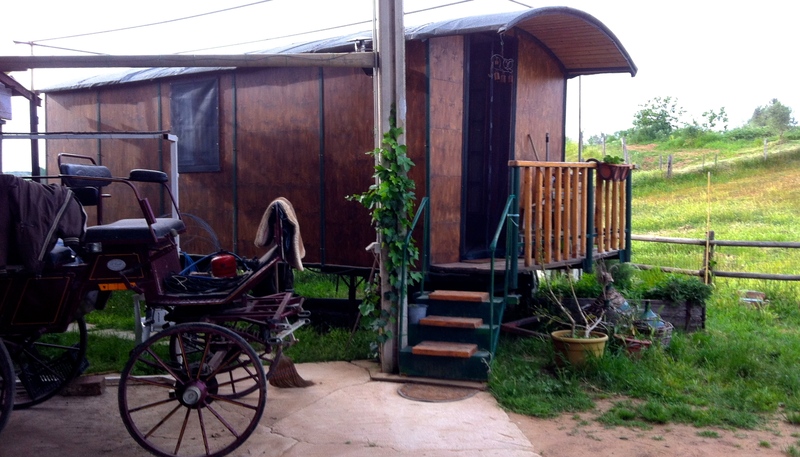 He showed me his gypsy caravan that he built a couple of years ago. Wow….It’s really all a person needs! Kitchen, bathroom with shower, sink and toilet and small bedroom with a desk along the wall. It’s built on a wheeled base, kind of looks like a train car with a rounded roofline, and is transportable. Without knowing it, he is among the many in the world who are part of the “Tiny House” movement, building small, efficient dwellings in order to reduce their expenses and environmental “footprint” and to live more simply. Soon after arriving I noticed a post on FaceBook regarding Tiny Houses, some even resembling his, built on a transportable base. If you Google “Tiny House” you will find many inspiring ideas! 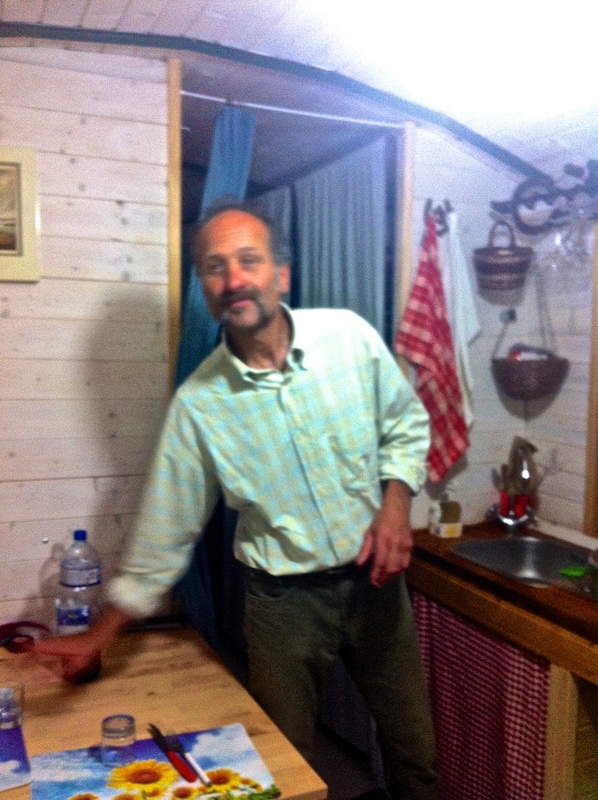 I stayed in the white RV camper next to his wagon and had meals with him in his caravan. For breakfast I ate tiny chicken eggs and huge goose eggs. His friend had given him several goose eggs to hatch and without an incubator, he decided to trying to hatch them under a chicken! She sat on 5 at once and by now he may have goslings. Enrico cooked wonderful traditional Tuscan meals for us….fava beans with rice and tomatoes, red wine and onions….another with beans and sausage, accompanied by plain white, unsalted bread, which he pointed out is the Tuscan way. He has a freezer full of prepared meals from last year’s garden. Melanzana (eggplant) parmigiana, broccoli and beans, chicken from the farm. We ate well every day. The horses are mostly a mix of an Italian breed called CAI TRP short for “Cavallo Argicolo Italiano Tiro Pesante Rapido”, which translates to “Italian Agricultural Horse, Heavy, Fast Draft”. Wow, a mouthful! One is a Maremma, a local breed here in the region of Maremma in western Tuscany, by the sea and the Maremma Natural Park. 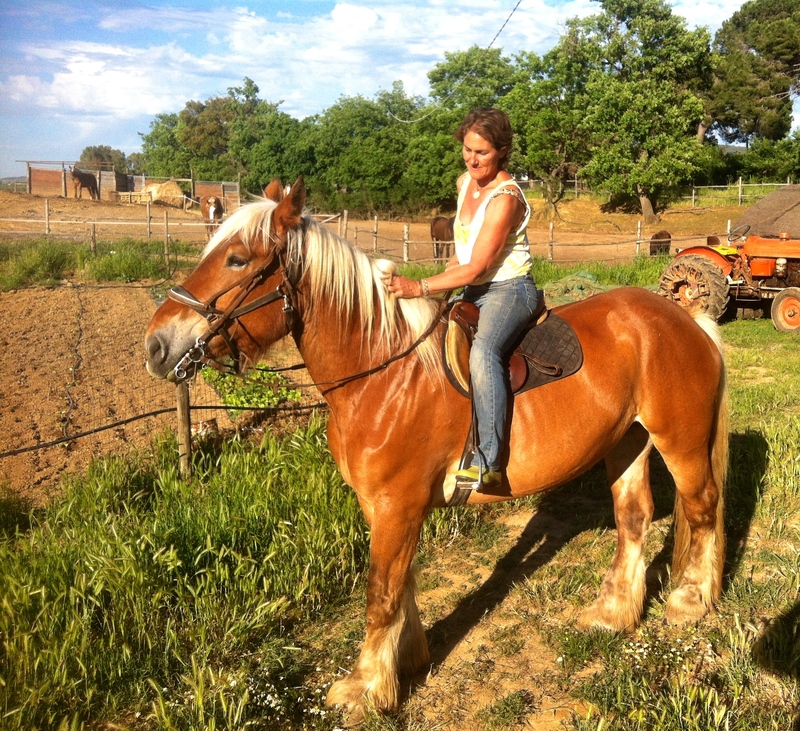 My favorite horse was Tulip, the French Comtois draft, which I rode a few times at sunset, and Stella, the pony. They were a pair to behold, always staying close to one another at feeding time. 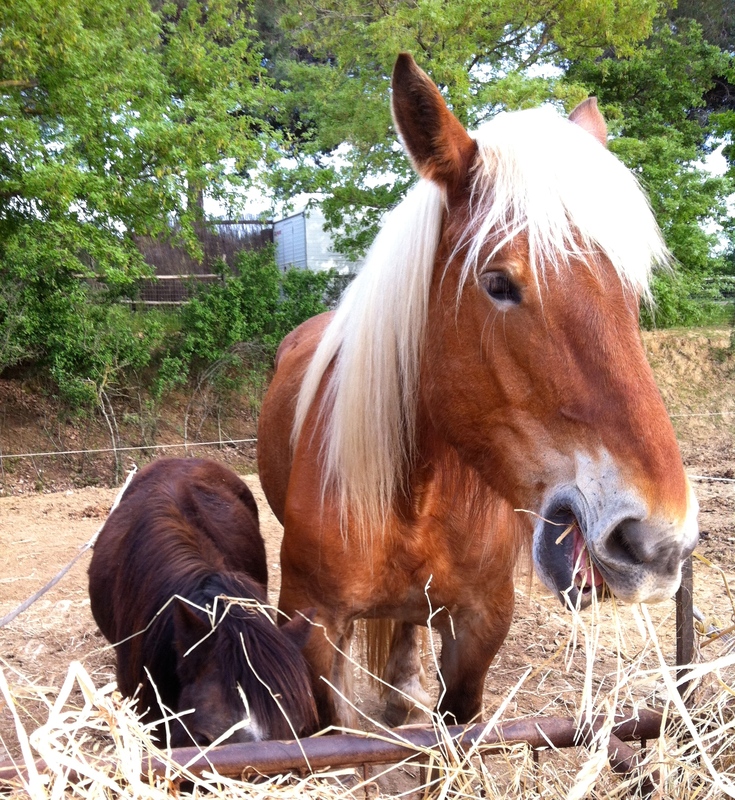 Tulip and Stella the pony. I liked this job the best, peeling layers of hay off the huge roll with the pitchfork, dumping a load into the re-bar feeding bins. 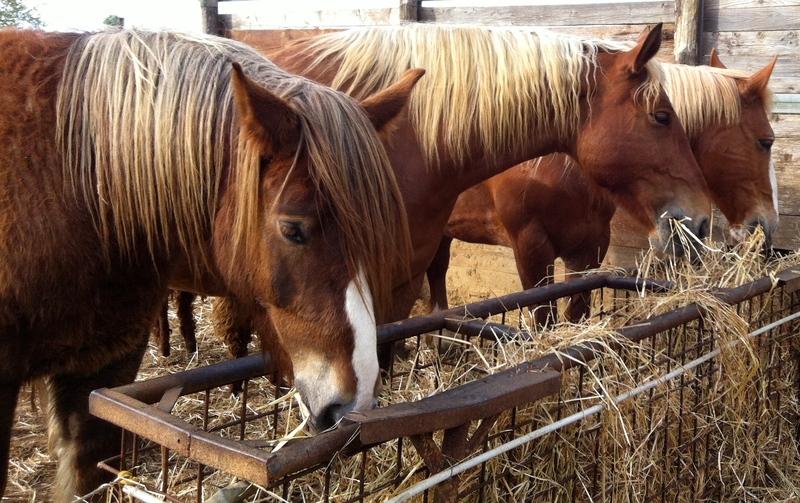 I gathered a huge pitchfork full and the horses would move their heads away just enough to allow me to dump it. Then an immediate munching frenzy began to take place. 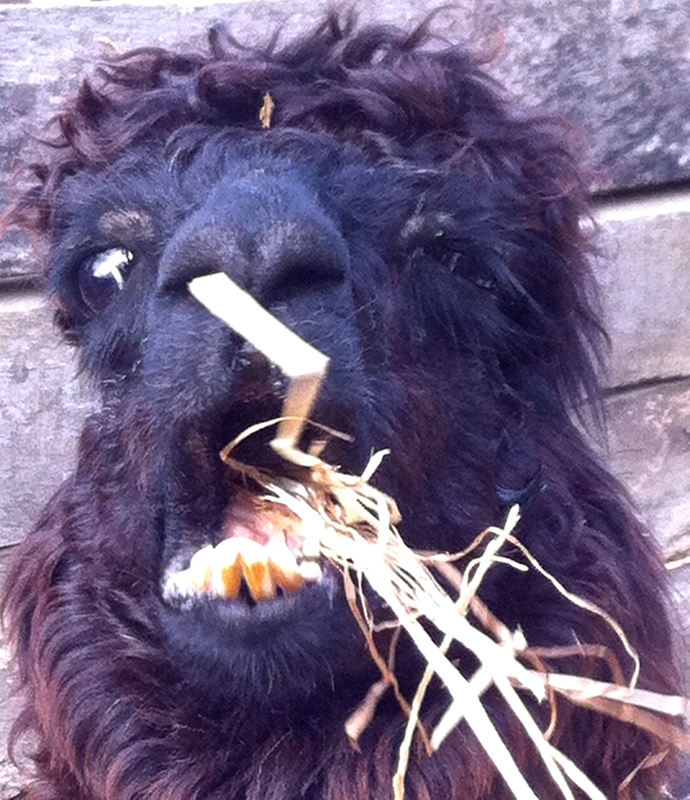 I would sit on the ground listening to the loud munching and had fun photographing the whimsical alpaca as they chewed their hay with their protruding bottom teeth and jaw swinging wildly from side to side as they chewed. Their efforts seemed rather unproductive compared to the horses, but they spend hours at it, nonetheless. 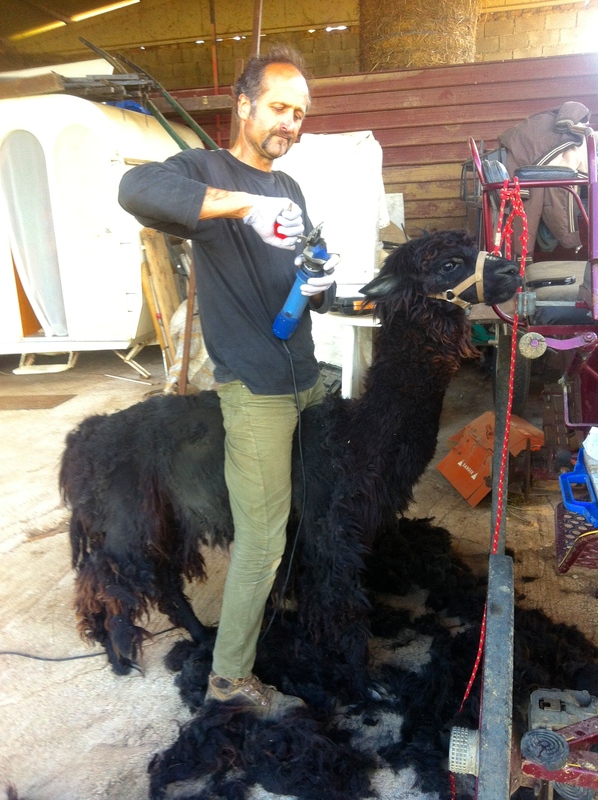 Yes, that is really an alpaca! Alpaca. More attractive from the side view! During my 10 day stay we did a few wagon rides with tourists, visited the Mediterranean sea, (which I of course had to jump into….a reasonable temp for beginning of May!) and together, we also planted Enrico’s large veggie garden. We visited with his 15 yr old daughter, Francesca then a quick stop to see his mom at the apartment where he grew up in Grosseto. 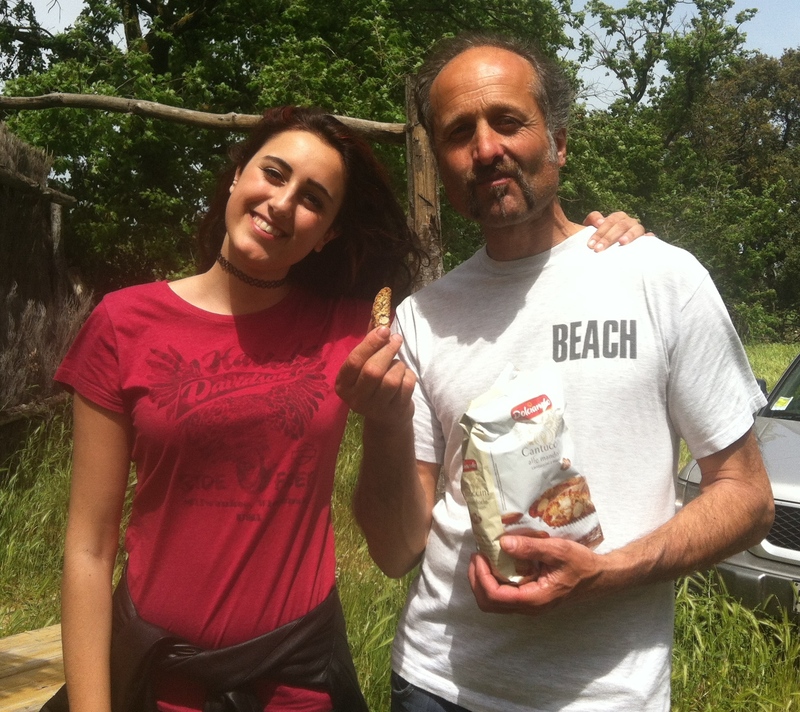 Enrico and 15 yr old daughter, Francesca. We took the small elevator up and went in, Enrico showing me old pictures on the walls from his childhood and Francesca’s baby photos. In the kitchen we found his mom, a gal of 82. I was wearing my sleeveless summer dress and she looked me over, up and down and all around. I looked her in the eyes with a smile and shook her hand, “piachere”. She smiled too and answered the same. She didn’t speak English but we got by. Upon leaving, she handed Enrico a fresh lemon cake wrapped in a cloth for us to eat for breakfast. Evenings were spent feeding the horses, preparing dinners and conversation, a mix of English and Italian, both struggling to get our words out in each other’s language, many laughs, with some Google Translate on the iPhone for help. It was a memorable and peaceful 10 days. Going for a ride with Tulip. My driving lesson with Violet. At the wine store! 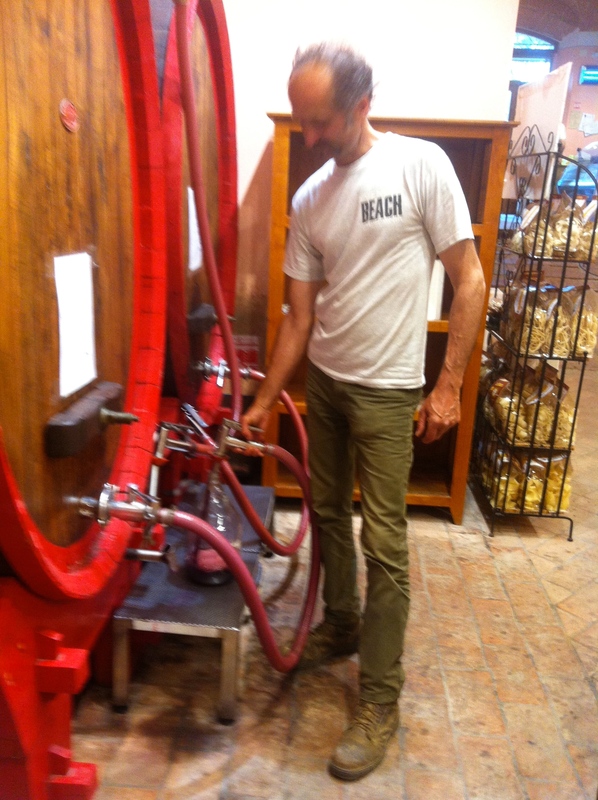 Bulk wine fill-ups for only 1.95 euros/ litre! And it’s good stuff! Great, Janet!!! 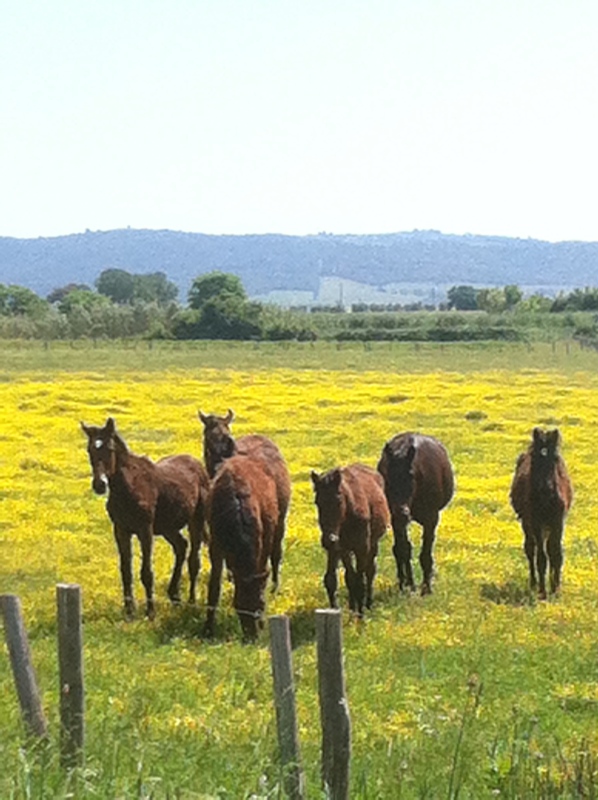 It makes me wish I was back in Italy…especially to see those cute animal-faces! One of my friend’s son just built a Tiny House. I’ll Forward this to her. ← Ancient Temples and Voyage at Sea!